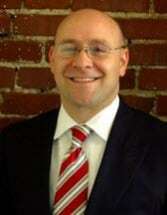 Based in Louisville, Mark G. Hall Attorney, PLLC, offers legal representation with integrity. I'm Mark G. Hall, a veteran of the U.S. Marine Corps and a lawyer with 15 years of experience serving clients in a wide range of practice areas. I can also represent college students in Louisville facing criminal charges (underage drinking drugs, assault, etc. ), both in court and in related school disciplinary hearings. Because family law acrimony can be so detrimental to children, I help clients seek negotiated resolutions when possible. If the other party refuses to cooperate, however, I won't hesitate to aggressively advocate for your interests and the interests of your kids. Finally, I am proud to represent Kentucky clients in matters of personal injury and employment law. As a Marine veteran, I believe in the motto "Semper Fi." I am faithful to the interests of my clients, and I want to help you fight for justice and compensation. Mark G. Hall Attorney, PLLC, serves clients in the Louisville metro, including Jefferson, Oldham and Bullitt counties. To take advantage of a free initial consultation, contact me today.